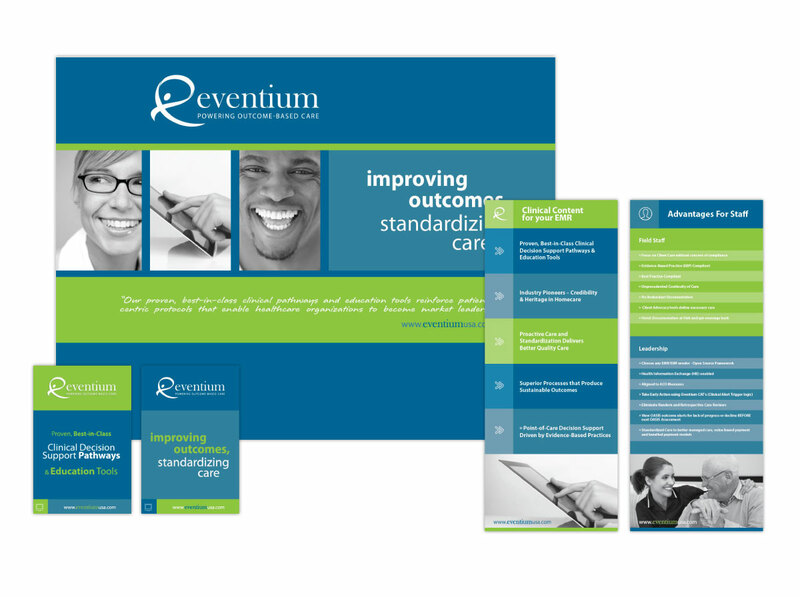 A high gloss 9″ x 12″ pocket folder was created for our client Eventium. The colors were picked up from their existing logo and brand. In conjunction with the folder, we designed “waterfall” sell sheets to fit perfectly inside the folder (waterfall means that each piece is shorter than the one behind it so you can see the top edge and the title of the sheet.). 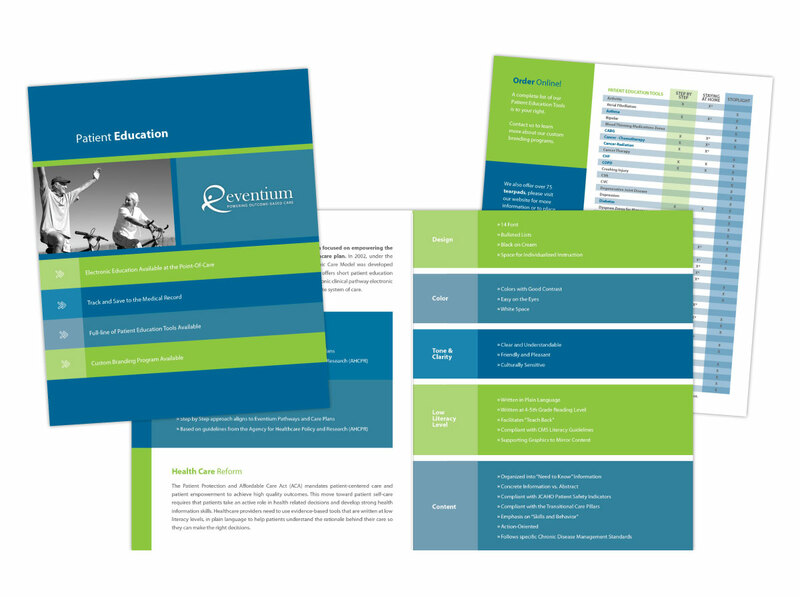 A matching large-format brochure was needed to help sell their Patient Education companion product. 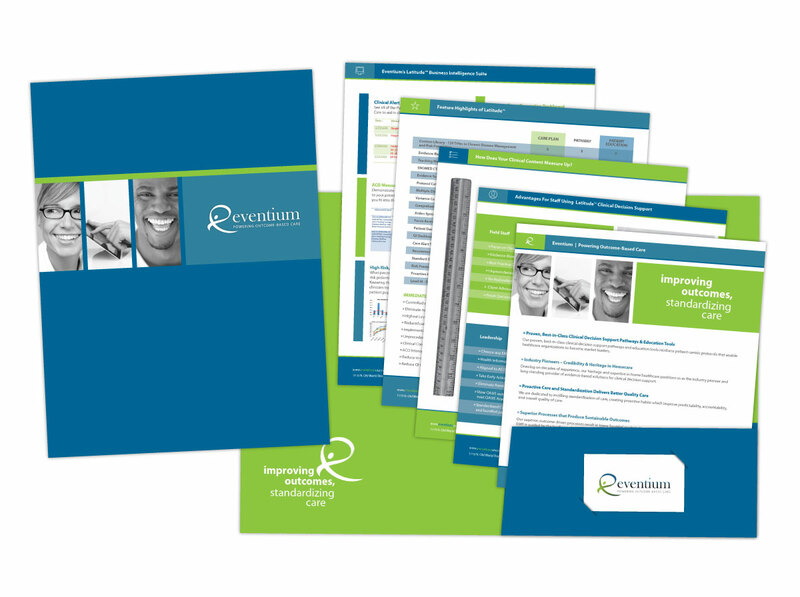 This one was printed on a high-quality thick stock, scored and folded. A large backdrop with side banners was created so they can use them all together or separately, dependent on their need and space. All banners pop-up or expand from a small base for easy transport and set up. We can design your expo and source the materials to have it printed.